THE START OF THE CMT 2019! 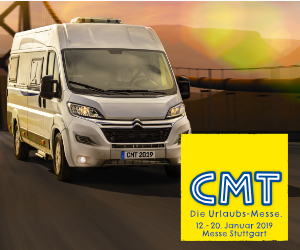 From 12 to 20 January we will be at the holiday exhibition CMT 2019 in Stuttgart (Germany). Just like last year, we will not have our own stand but off course we are more than happy to help you with any questions, comments and advise at the stands of our VB-Partners. Our colleagues from VB-Germany Markus Böcker (14 – 16 January) and Martin Fabisch (16 – 18 January) will be there. If they are on the road, our VB-partners know how to reach them. We invite you to visit us at our VB-partners.